This quadriceps press movement effectively works the quadriceps while supporting the lower back. Foot plates in the front of the unit allow youth to position themselves comfortably on the unit. Dimensions: 24” wide x 60”L x 36”H. Junior Model 312: Grades 5-8. Also available in Elementary Model 212: Grades 2-5. Weight: 120lbs.w/ pallet 155lbs. Obviously, finding ways to increase children’s daily and weekly exercise opportunities should become a priority for parents, teachers and pediatricians. Recently, much has been done in schools to create infrastructures that promote healthy physical activity patterns, increasing children’s level of exercise, but not a lot has been done to influence fitness outside of school. The value of physical fitness can never be overstated, and exercise is one of the only pure things in life where middle school kids can learn the value of taking care of themselves, and be motivated to take care of their bodies and eat nutritionally for the rest of their lives. Call 1-800-875-9145 to speak with one of our fitness advisors with any questions you may have. How do we put a price on our kids overall wellnes and their future - Go to FitnessZone.com today to order the Quad Lift Back Support 312 Junior and let's give our kids the advantage they deserve. 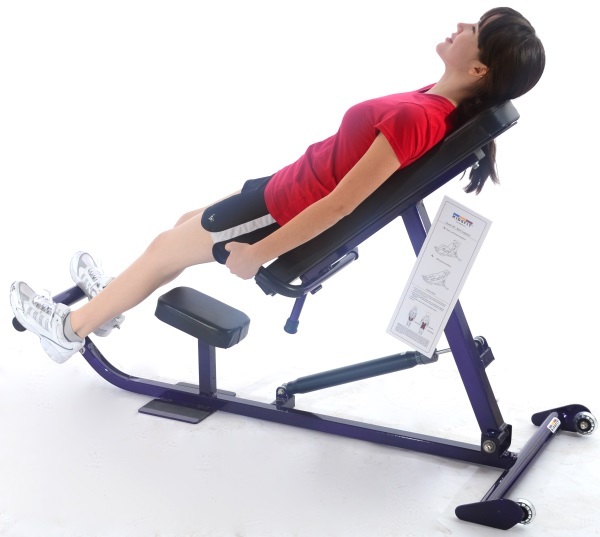 Order your Quad Lift Back Support 312 Junior from FitnessZone.com today!